Attention all math whizzes! The brightly coloured number cubes in this Sudoku are lined up closely together – so the challenge to maintain an overview is even bigger! 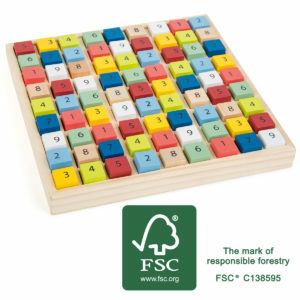 This logic puzzle trains understanding of numbers and really gives the grey matter of both kids and adults a good workout!Please note that this product previously had the product number 10842*.